Wellies from Aigle are known for their exceptionally high quality and durability. The sturdy outsole allows for a secure footing on almost every surface while the comfortable fit stabilizes the children’s ankles and makes the shoe as comfortable and secure as hiking boots. 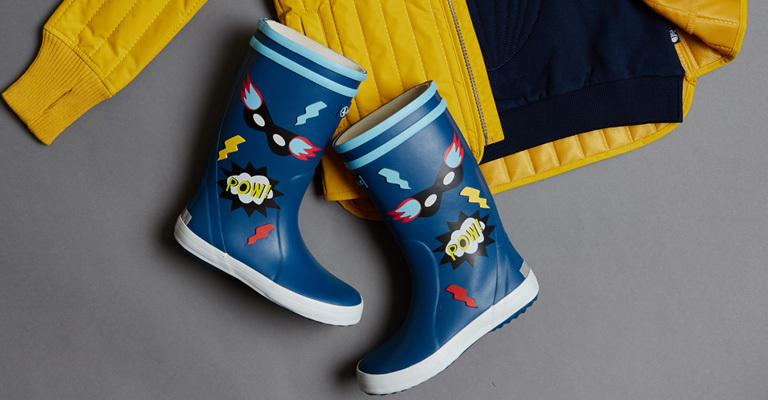 Wellies from Aigle turn even the rainiest walks through nature into a fun adventure! Aigle wellies have been manufactured by hand in France for over 160 years. We recommend washing them with clean water after every use and letting them dry in a clean place away from heat or direct sunlight.